Hi, my name is Janet and I’m a 63-year-old wife, mother, sister and Nannie. In 2015 I felt the type of fear that you only think exists in TV shows or stories you see about others. Basically, I started to notice a change in my bowel movements and saw blood in my stools. My heart sank but I did what that say you should, I went to see my GP and he did a colonoscopy. That would then lead to an endoscopy (camera down my throat to look into my stomach). The general feeling was it could be a reaction to a surgery I had 15 years earlier, to install mesh across my stomach to repair hernias. So I was referred to a specialist who said the surgery would be challenging for him and dangerous for me because of the mesh. I rang his secretary in September but decided to delay the surgery until after Christmas, so the family could enjoy the festive celebrations without worrying about me. Unfortunately, however, over Christmas I wasn’t well, and my condition deteriorated. The specialist said he wanted to do more tests before committing to the surgery and referred me for another endoscopy and colonoscopy. That was when I saw something scary on the screen during the colonoscopy, it just looked like a cactus and certainly shouldn’t be there. It was pale on the bottom, red in the middle and black at the top. When I asked what it was I didn’t get an answer…… Afterwards my husband was brought from the waiting room and we were shown into a room with sofa’s and given a cup of tea and biscuits. The consultant came into the room with two nurses and said it wasn’t good news, “cancer?” I asked, he just nodded his head once. I would be referred to Weston park for radiotherapy and chemotherapy. This was every week day for 6 weeks and would start pretty much straight away. We were due to go away for a few days starting the following Monday, “cancel it” we were told, “you will be having treatment by then”. As we didn’t hear anything we did manage to squeeze in a break, which at the time was a god send before all the stresses of the treatment. As soon as we returned, we got the call, “Weston park have an appointment for you for tomorrow” that was the start of a busy year of appointments with multiple different specialists involved with cancer care. On September 6th, 3 days after my dad’s birthday and the day after my brother’s birthday I had surgery to have part of my bowel removed and an ileostomy bag fitted. My body wasn’t too keen on the bag, so this was removed earlier than planned. Normally they leave it for 12-18 months to let the bowl heal and rest but after 4 months, practically to the day, mine was removed on the 5th January 2018, the day before my mum’s birthday. When those 2 dates were mentioned, September 6th and January 5th I just felt like I would be ok, my mum and dad would be looking down on me. It also felt like destiny that my treatment would be so closely tied to their birthdays. Obviously along the way there were hiccups, not everything was plain sailing but not everyone is the same; otherwise the world would be boring right? 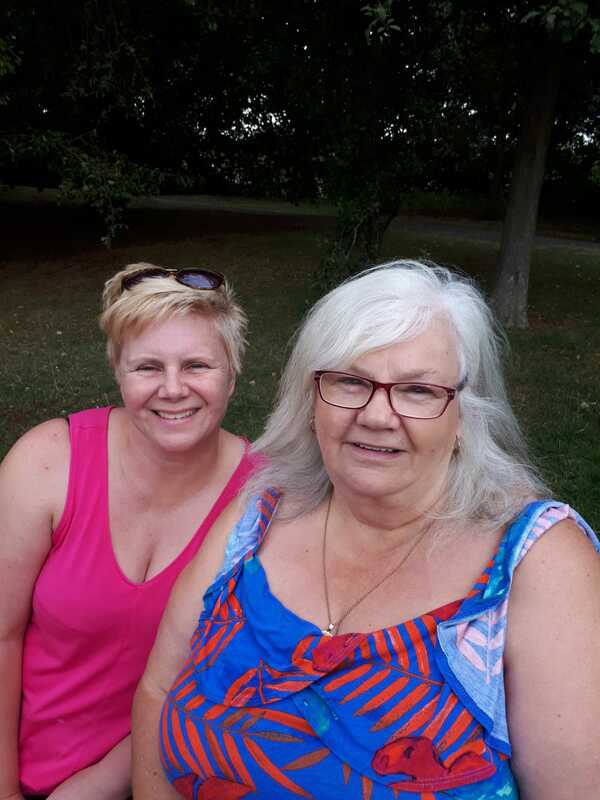 When my sister contacted EvesTrust and they answered my wish of going to jersey for a much-needed break and holiday, they arranged for us to fly there, something myself or my husband hadn’t done before, so I was VERY excited. It sounds crazy in this day and age, but it was like 2 wishes in one! I loved flying, I was like a big kid taking pictures from the plane window, of course, I had to sit next to the window, no contest. The hotel EvesTrust arranged, Radisson blu, was a beautiful hotel on the marina, with the Elizabeth castle at the end of the marina walkway. The hospitality and restaurants left nothing to be desired. The island is beautiful, and the weather was fantastic. Nothing could have been any better and after the year we’d all had it was very much needed, a holiday dream to remember forever.